GimmeVibe! 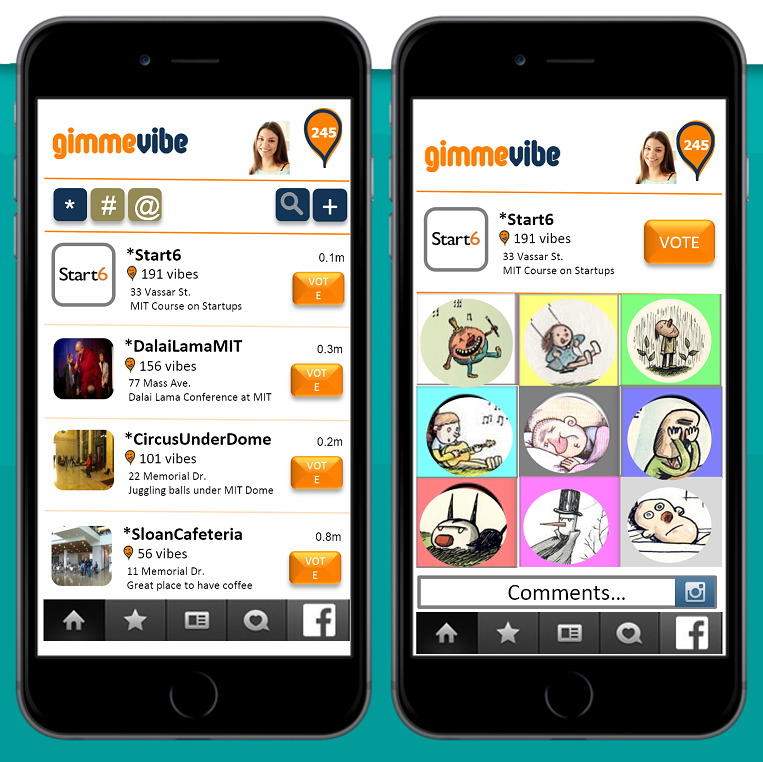 is a Mobile App that will let citizens express how they feel in a fun and easy way. What is the purpose of a government if not to enhance the well-being of the citizens? · Is vital for Policy Makers to know the impact of their past decisions and to improve the future ones. · Show citizens that you care about them. The City of Somerville is doing it! It may be that it is simply too early to reach certain policy conclusions from the happiness data. Somerville has taken the important first step to begin tracking its residents’ wellbeing, but there are still conversations to be had about what this data ultimately means for city government. What if we measure how citizens feel at any time and in any place? We believe that, by giving people the power to express how they feel at any time and in any place, we can improve the city we live in.